July 01, 2014 - "Press Releases"
CANTON, GEORGIA – July, 2014. Work is not always confined to a single workstation and parts must be moved around accordingly. Each task is different and requires dedicated tools. 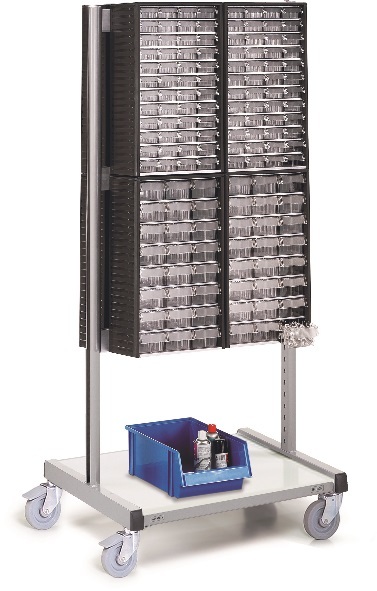 Sovella small parts trolleys are ideal for this situation and significantly increase productivity up to 30%. Sovella trolleys and carts offer the complete mobile workspace solution! For more information on Sovella's trolley options, please visit Sovella online at www.sovella.us. Cut sheets and brochures are available for download in our online literature library. Sovella has an extensive history in industrial furniture design and manufacturing with over four decades of experience in ergonomic workspace development. Our design and manufacturing facilities are based in Jyväskylä in Central Finland. However, with our main market areas in Scandinavia, the Baltic countries, Central and Eastern Europe, North America, and China, we are truly an international company.